Lucky Few Floridians Get $125,000 from Foreclosure Settlement, Most to Get $300 | The Law Office of Emil Fleysher, P.A. Lucky Few Floridians Get $125,000 from Foreclosure Settlement, Most to Get $300 | The Law Office of Emil Fleysher, P.A. The first wave of checks from the $3.6 billion dollar federal settlement will be mailed this Friday according to the Office of the Comptroller of the Currency and Board of Governors of the Federal Reserve System, with hundreds of thousands of them going to Florida residents. Out of the 4.2 million borrowers who will be receiving settlement checks, a lucky 1,100 residents nationwide will receive the maximum payout of $125,000 and about 2.3 million borrowers will receive the $300 minimum. The 1,135 borrowers receiving the maximum were primarily those protected by the 2003 Servicemembers Civil Relief Act. Another 50 or so borrowers are receiving the maximum because their home loans were never in default to begin with. The announcement made Tuesday, April 9th was the first with information about how the funds would be disbursed and critics are calling it both nonsensical and capricious. 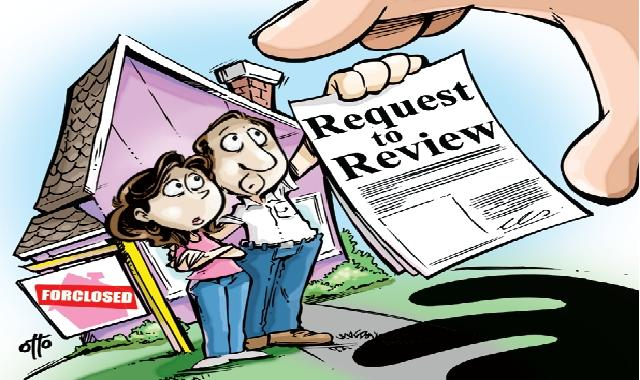 Borrowers who did apply for the Independent Foreclosure Review often received double the amount of those who didn’t to “acknowledge the efforts they made to request a review” according to Bryan Hubbard, the spokesman for the Office of the Comptroller of the Currency. As of the January 1st deadline, just 500,000 borrowers of the 4.2 million who are eligible had applied for a review. According to Nova Southeastern University law professor Robert Jarvis, the Independent Foreclosure Review and the current settlement are the worst possible processes to compensate borrowers. Those eligible for payment include borrowers who were in foreclosure during 2009 or 2010 with loans serviced by the 13 lenders included in the settlement. The following companies and their affiliated mortgage companies are included in this settlement: America’s Servicing Co, Aurora Loan Services, BAC Home Loans Servicing, Bank of America, Beneficial, Chase, Citibank, CitiFinancial, CitiMortgage, Countrywide, EMC Mortgage Corporation, Goldman Sachs, HFC, HSBC, Litton Loan Servicing LP, Metlife Bank, Morgan Stanley, National City, PNC, Saxon Mortgage, Sovereign Bank, SunTrust Mortgage, U.S. Bank, Wachovia, Washington Mutual, Wells Fargo, and Wilshire Credit Corporation. The following servicers are not participating in the Independent Foreclosure Review Payment Agreement: Everbank/EverHome Mortgage Company, GMAC Mortgage, Financial Freedom, and OneWest Bank/IndyMac Mortgage Services. The Independent Foreclosure Review process is continuing with these companies.